Jaclyn Tuchman is a Los Angeles based artist. 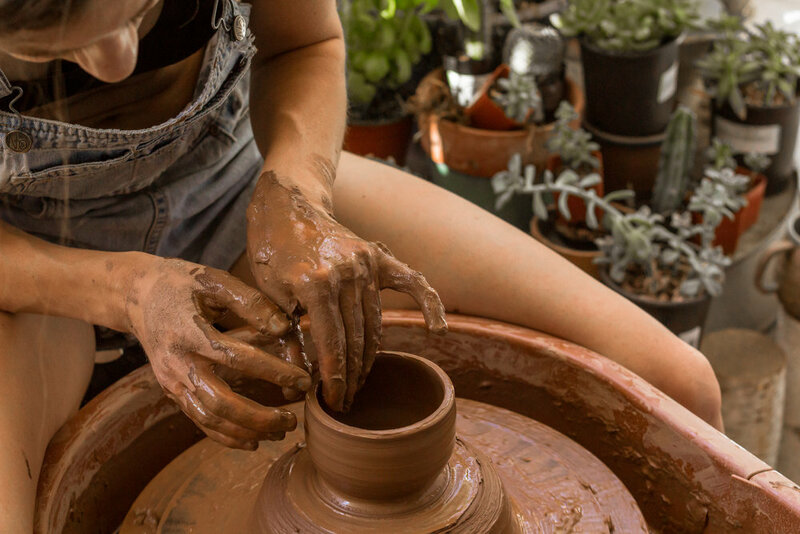 She began pottery in Arizona after growing up preferring clay as a medium. She now works out of a studio in Northeast LA and her work can be found in stores around LA. Wild Matter Ceramics is a unique, nature inspired brand of handmade, stoneware ceramics for the home and garden. You'll find that these pieces resemble wood and other natural elements. The brand is always evolving and more work will be available soon. Restock for the shop is in the works! While you await the nest shop update, work can be purchased in person at pop-ups and markets (watch for updates on Instagram!) or through direct contact and Instagram.